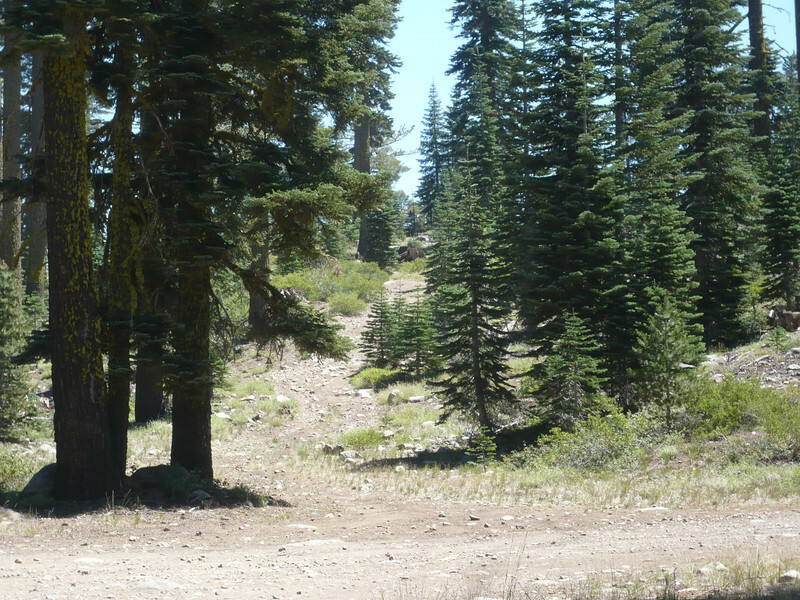 At the northeast corner of the lake is an intersection of two large dirt roads, and across the intersection you will see this 4x4 trail that goes up to the summit of Pt. 7860. Unless you have an ATV, dirt bike or high-clearance 4x4 rig, start your hike here. This spot is approximately 420 vertical feet below the summit.